A 1.9 mile dirt road course was opened in 1932 and used through until 1936. A shorter 1.56 dirt road course was used in 1934 hosting an AAA champ car race. The Los Angeles Speedway a 1 mile B-shaped "oval" was built in 1936 on an area nearby on the same airfield. The whole area later became part of Los Angeles International Airport (LAX). 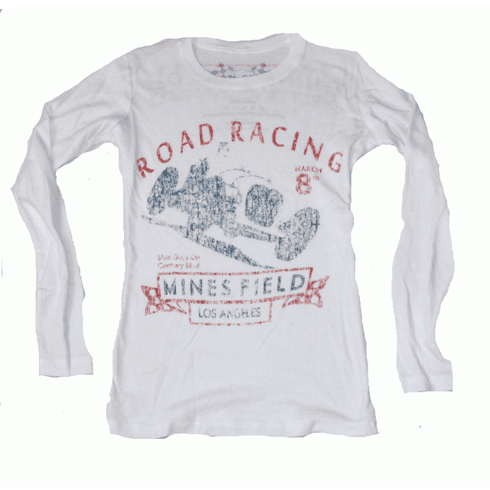 This classic thermal play homage to the daredevils that once thrilled crowds at Mines Field.